American University in Washington DC is one of the world’s leading learning institutions and educational destinations. Often referred to as the “most politically active school”, American University is internationally recognized and offers some of the world’s most comprehensive and enriching programs. Equity features a prominent selection of apartments located near American University. 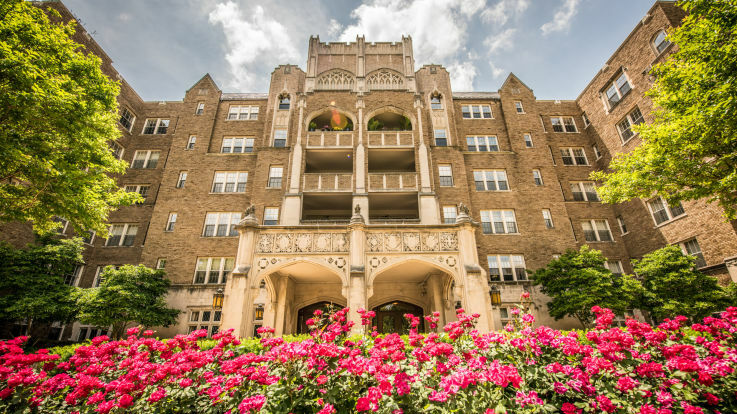 Whether you are an educational professional, a student, or just an admirer of the facility, we offer a variety of apartment homes that will surely meet your needs and values. Our goal is to provide residents with the very best in urban living. Inside many of our communities, you’ll likely find beautifully adorned kitchens, spacious closets, beautiful views, and versatile floor plans. Additionally, our central locations place you just moments away from transportation options, as well as several destinations for shopping, dining, and entertainment. Browse through Equity’s available apartments near American University and find your perfect apartment home today.